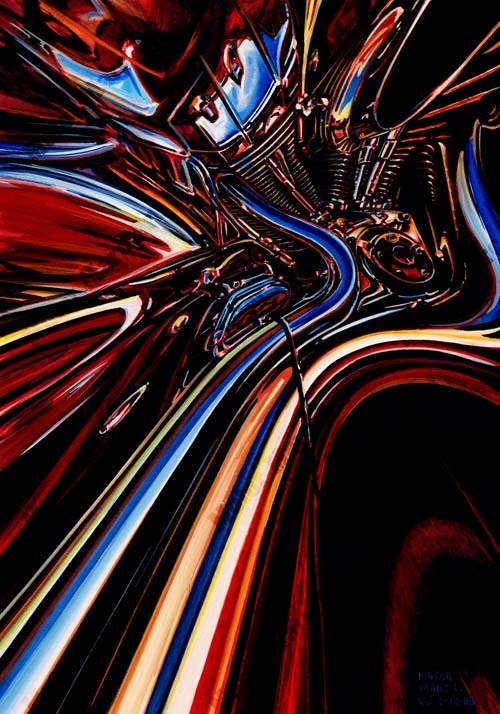 Media Size Choose an option12" x 20"24" x 34"34" x 48"
V-Twin power is portrayed in this stylistic piece highlighting chrome and mechanical beauty. Art deco meets classic American iron in this twisted depiction of psychedelic splendor. Powerforce evokes the artist’s imagination, incorporating torque and horsepower taken to the extremes with colour and form. 12" x 20", 24" x 34", 34" x 48"